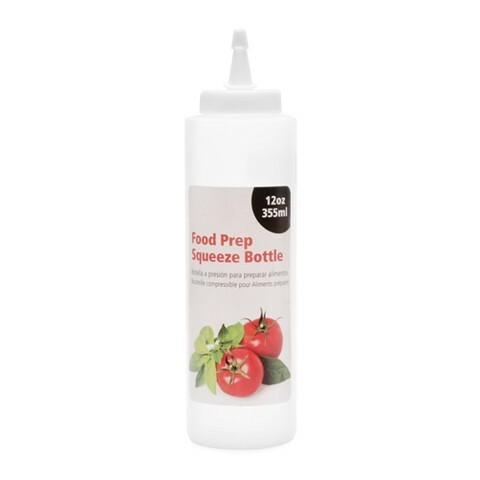 Food Prep Squeeze Bottle 355Ml. 355mL l Size of Bottle is 21 x 5.8cm l 750mL. Transparent with White Nozzle. PP Plastic. 34G Packaging: Colour Sticker l SRT.